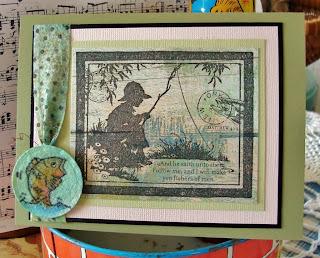 Vada's Blog Stamp Inks and Paper : GC-114 Spicy Supplies Challenge. Vada, so precious! 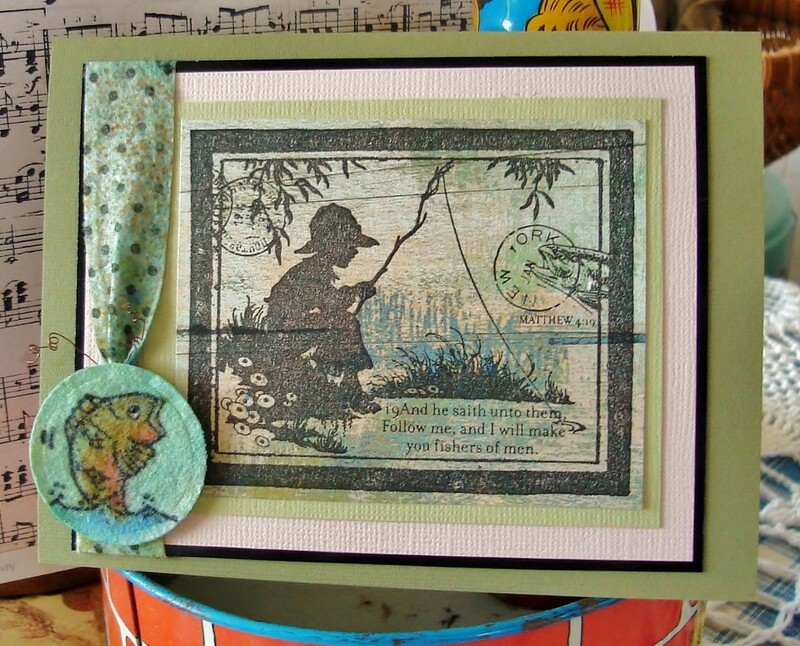 Love this little boy fishing with a stick! Beautiful card and colors. Have a lovely weekend! Hugs! 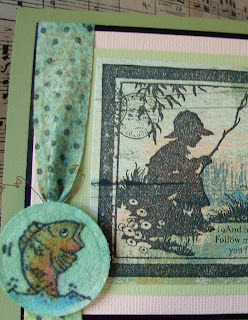 This is wonderful, Vada - I love the image you chose and how you combined the supply challenge with the theme. Thanks for playing! Wonderfully done, Vada! Love that background and the image is darling! You did a great job on this card. Vada this is just so beautiful and so serene. I heart this card Ms. V! !